Howdy friends and ministry partners! We have been in the USA for almost a month, and God has blessed more than we could have ever imagined! Raquel and I have met many new friends all across the country, and these days have been full of first-time experiences for both of us. 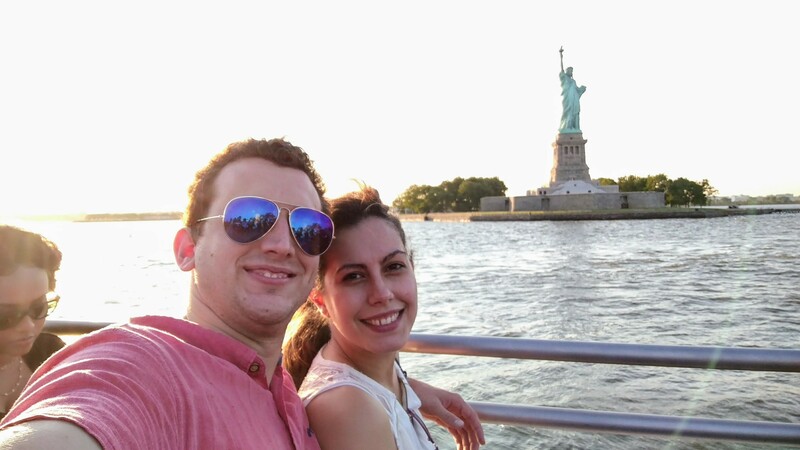 Raquel’s English skills are holding out admirably… She learned English in Ireland, but she’s already learned to understand American accents from New York, Alaska, the West Coast, Midwest, and even South Carolina drawl! 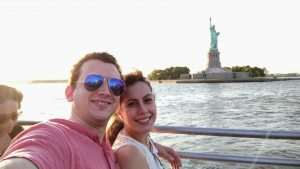 We landed in New York City on July 4th and were welcomed to the city by fireworks and a wonderful family who opened up their home to us for several days while we got the chance to walk all around the city. From there we went straight to Fairbanks, Alaska, where we worked as teen counselors at Camp Challenge. The Lord blessed with a wonderful week where we were able to invest in the lives of some great teenagers. We also had the chance to present our ministry in Spain to two churches, Hamilton Acres BC and a delightful Baptist church called The Church at North Pole! Some of you reading this letter are new friends from these churches, and I want to say thank you so much for the blessing you were to us! We are so excited to have you praying for us now! Thank you Pastor Bruce and Lina! We all enjoyed lunch with brother Morris Gleiser today! From Alaska we flew to Seattle, WA where we got to spend a brief few days with my grandparents and uncles. They got to meet Raquel for the first time, and I had the chance to catch up with family I hadn’t seen in years. Praise the Lord for a wonderful time with the family in Washington! The Lord has been so good to us in our travels so far! Today it’s on to Colorado. Keep praying, thanks! Next we flew to Colorado, where we had the chance to visit First Baptist Church in Dove Creek, CO. You guys were so friendly to us! It was such a pleasure to present our ministry there. Dove Creek is a town with about 600 inhabitants, so two travelers from Spain made a significant uptick in the population for a couple days! The next week we were able to visit Front Range Baptist Church in Fort Collins, the church where I served as intern for 9 months after college. The church has been supporting me since I first went back to Spain, and they finally got the chance to meet Raquel. We had a very special time visiting many good friends. Thank you all so much for your kindness and faithful prayers throughout the years! Beautiful weekend at Front Range Baptist Church in Fort Collins! Such a tremendous group of believers. Thank you guys so much! And finally, yesterday morning we arrived in Greenville, SC. For the two months remaining of our trip stateside we will be living here with the other side of my family. We will be in a different church every Sunday from now on and our hope is to be a blessing in each one. Pray for us as we will be doing a whole lot of driving around in the next two months. God has provided the chance to temporarily buy a car for our travels. Please pray that it will treat us well as we’ll be traveling through about 10 different states with it in the next 2 months! God has also provided a job for me here, so I’ll be working every moment I can while we’re not travelling! Please pray for safety, direction, provision, and the Lord’s strength for the next few months we’ll be in the States. We will need every one of your prayers. Also continue praying for the church in Irun as they go on without us this summer. We miss our congregation already, and can’t wait to get back to them as soon as we are able. Tagged with: Camp, Deputation, Prayer, Support, Travel. Do you have a schedule of the churches you will be in for the next few months? Would like to hear your presentation if you are anywhere near Chattanooga.